Diabetics can eat anything, but individuals must focus on limiting excess carbohydrates. This is something all Americans should pay closer attention too because carbohydrate control helps people all ages maintain a healthy body weight. 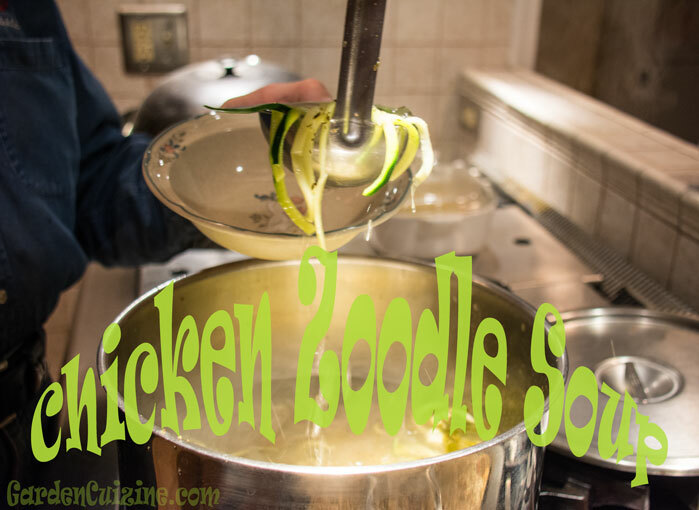 Chicken and Rice or Chicken Noodle soup contain carbohydrates (noodles or rice) that can be replaced with spiral cuts of zucchini (zoodles). Who says you can't play with your food? One 15 oz can of Healthy Choice Chicken Noodle Soup contains 24g carbohydrates and 780 mg sodium. Homemade Chicken Zoodle Soup saves you both carbs and excess sodium. Homemade soup has better nutrition and best of all contains no additives. My healthy soup recipe will be posted following Inspira Health Networks upcoming Diabetic Cooking Class, which is scheduled November 5, 2015 at The Fitness Connection, Vineland, NJ. Photo and blog post Copyright (C)Wind. All rights reserved.